Dortmund is a city where a tourist trip might turn into a real adventure and an unforgettable experience. The reason for this is that Dortmund offers everything - from advanced industrial culture, diverse museums, and colorful variety shows and theaters to world class football and local culinary specialties. Dortmund is called the beer capital of Germany ... or at least was until recently. Dortmund boasts most of the big breweries in Germany, it is the seat of "Hoesch". Dortmund is situated on the river in the western German Emsher North Rhine-Westphalia. The whole city is spread on an area of 280 40 sq km and the number of inhabitants of the city reaches 600 000. 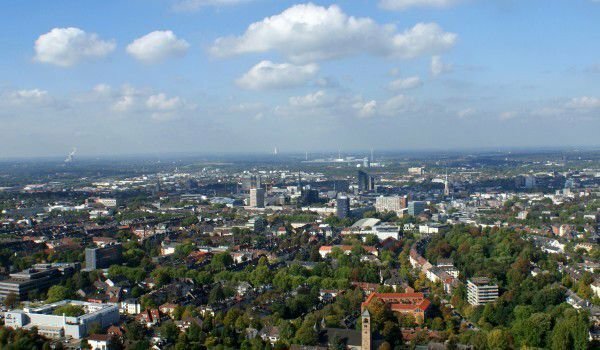 Dortmund is known as a large and well-developed center of coal mining, metallurgical, chemical and military industries. In recent decades, however, urbanization and modernization of the city turned it into something more than an "industrial zone". The river port of Dortmund is still there, but is not the most interesting thing the city can offer its visitors. For the first time historical sources mention a small settlement on the territory of today’s Dortmund around 885. At that time the town was known by the name Throtmanni. It was completely destroyed by fire from the Holy Roman Empire, but later the archetype of today’s Dortmund was rebuilt by Frederick I Barbarossa in 1152. In the 12th century Dortmund became a major city in the land of Rhine Westphalia and the Netherlands as one of the principal members of the Hanseatic League. After 1320 the city appears in writing with the name "Dorpmunde". In 1661 a large earthquake is to blame for the collapse of the Reinoldikirche. During the industrialization of Prussia, Dortmund became a major center for the processing of coal and steel. In the years after World War II buildings, such as Marienkirche were fully restored. At the end of last century Dortmund began to emerge as an important center for high-tech industry. Tour places in Dortmund can start from the central part of town where there are two main churches (Reinoldikirche and Marienkirche). Both are excellent examples of medieval architecture. The original building was erected on the Marienkirche grounds in the years 1170-1200, but as mentioned, after the Second World War, it was rebuilt. The oldest parts preserved today in the construction of the church date back to. Patrikkirche was built sometime in the 14th century and today we can see its incredible shrine, which is known as the "golden miracle of Dortmund ". The beautiful altar consists of 633 gilt carved oak figures, depicting 30 scenes from Easter. Shop around after the cultural attractions of Dortmund, and do not miss to stop by the Old Market Square, which is also located in the central part of town. Here is where local tastes are mixed with Mediterranean spices. The Old Market has some of the best restaurants and beer in Dortmund.